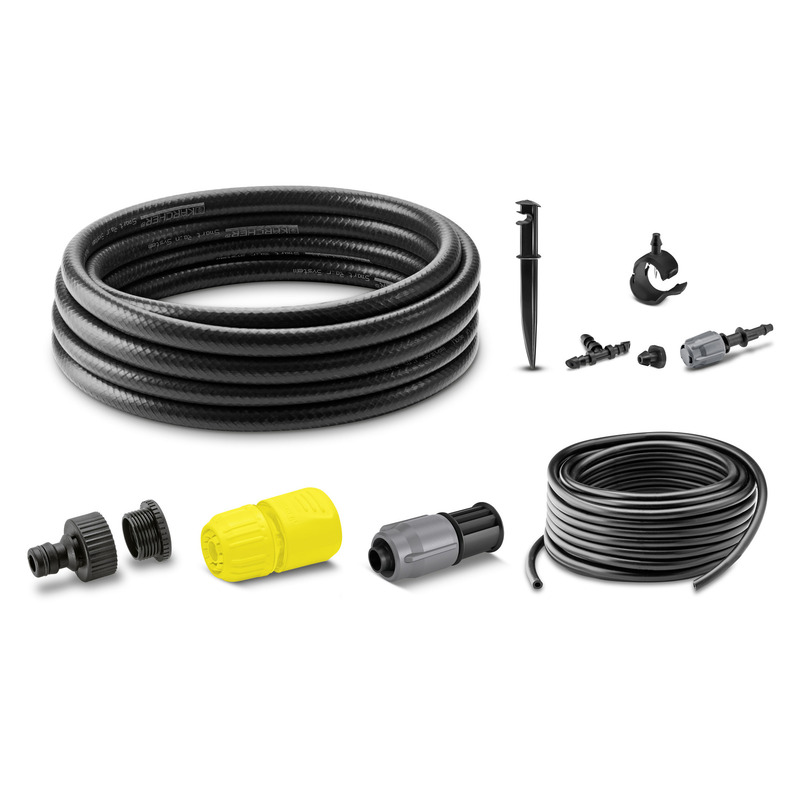 Rain System Pot Watering Set 26452760 https://www.kaercher.com/ie/home-garden/watering-systems/kaercher-rain-system-tm/rain-system-pot-watering-set-26452760.html The Kärcher Rain System pot watering set is ideal for efficient watering of up to 15 plants. Pots and window boxes can be watered conveniently with the hose system and droppers. 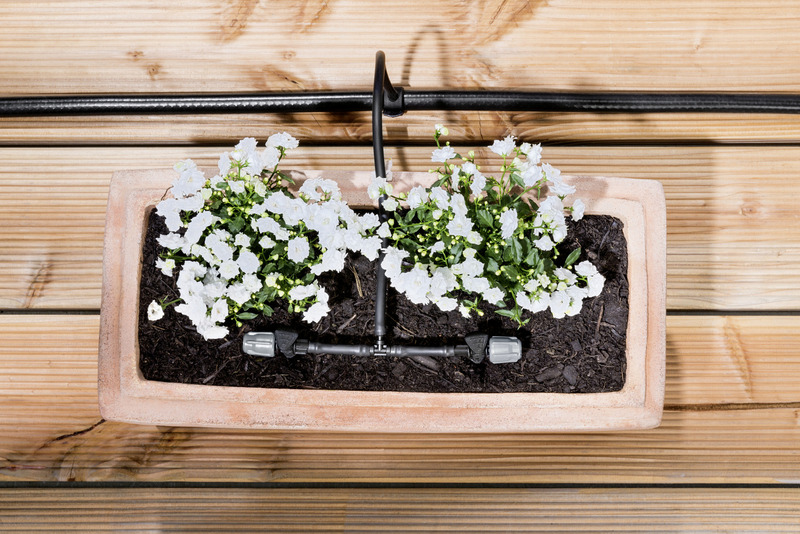 The Kärcher pot watering set for terraces is a perfect extension of the Kärcher Rain System® or used directly from a garden tap and is perfect for efficient watering of up to 15 plants. Pots and window boxes can be conveniently watered using the hose system and droppers. The water volume can be individually regulated on each dropper, making the individual need-based watering of your plants possible without wasting water. A 10m flexible 1/2" hose (incl. G3/4 brass tap adaptor with G1/2 reducer and hose connector for connection to the tap) is used for connecting up your water supply. 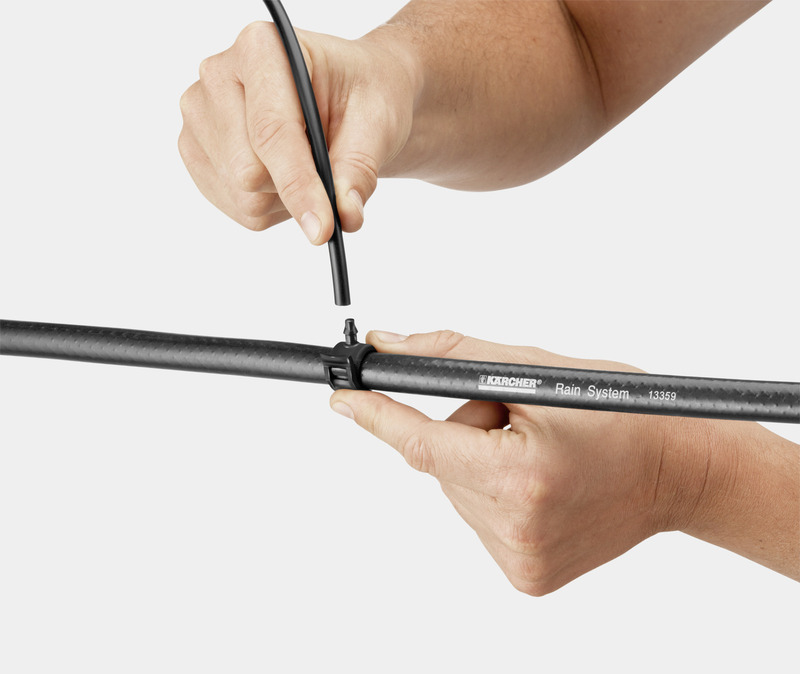 The thin hose (10 m included) is connected using sleeves (10 included), which thanks to the integrated needle can be connected to the Kärcher Rain System® hose without the need for tools. Watering in the pots is done via droppers (15 included), which can be fixed using ground spikes (15 included). 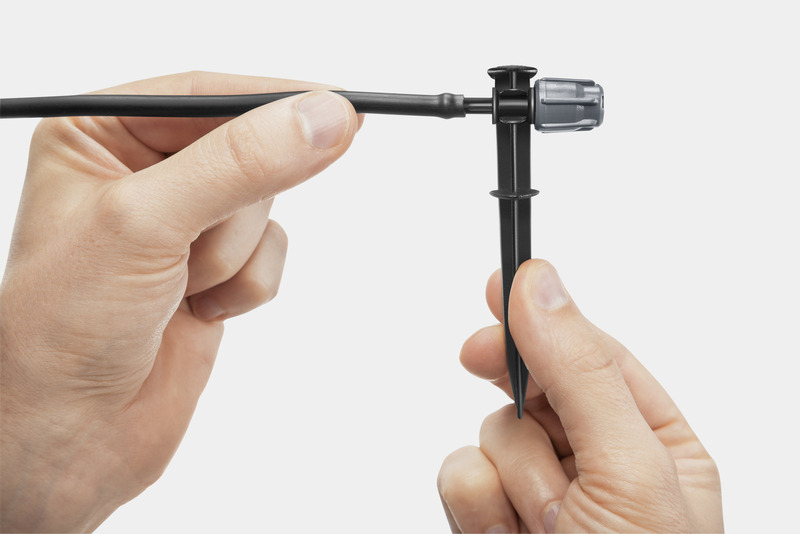 Hose stops (3 small, 1 large) for sealing and T-connectors (10 included) for connecting the hoses are also included. This pot watering system can be extended as required with products from the Kärcher Rain System® or the SensoTimer ecologic for efficient watering control. Convenient and efficient watering of pots and window boxes. Can be combined with Kärcher Rain System® components, as well as with the ecologic SensoTimer for efficient control. Rain System Pot Watering Set is rated 5.0 out of 5 by 1.